Lauren Campoli is a criminal defense attorney in Minneapolis. While she generated business from excellent ratings and reviews, she needed a fresh look to her site and better SEO to be found on Google. Virtual Monk began by designing a brand new logo and identity for Campoli Defense. We then built campolidefense.com with cohesive branding around the logo. 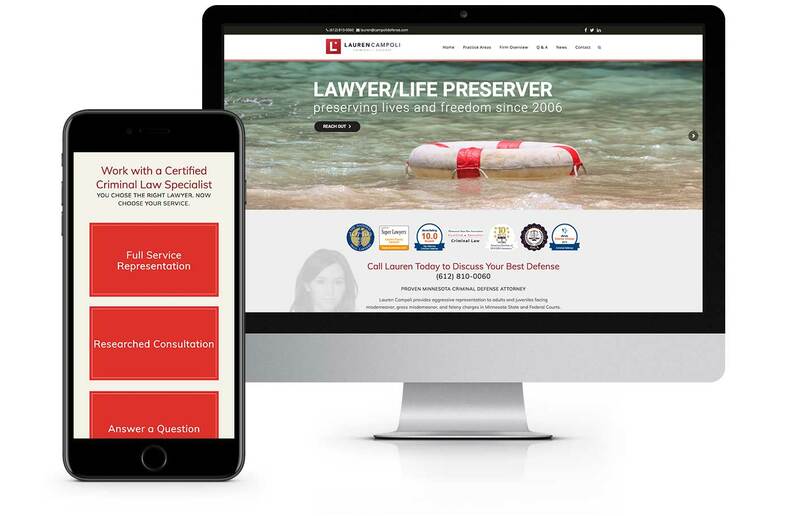 Her site is impactful and expresses her unique strengths as a criminal defense attorney. By applying powerful SEO, Lauren’s site has continued to climb through Google’s ranks since launch and is at the top of Google’s local listings for her target keywords.